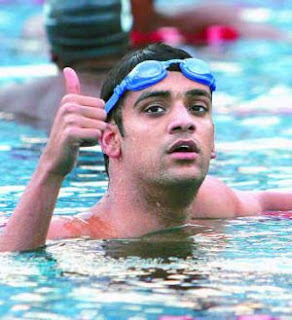 Rehan Poncha, who has been swimming well in this meet, stood out among the Indian swimmers on Day 3. He was seeded second after the heats but ultimately finished a creditable 4th in the 100m Backstroke final. He missed the bronze by 0.35 of a second. 50m Butterfly (Women) – Hong Kong’s Hang Yu Sze and Hannah Jane Arnett Wilson finished first and second with a time of 27.16 and 27.41 respectively, both the times were better than the previous record. Korea’s Hyun Jung Park finished third with a time of 28.15. The World Record is in the name of Anna-Karin Kammerling of Sweden with a time of 25.33. 50m Butterfly (Men) – China’s Jiawei Zhou came in first with a new record time of 23.97. Kazakhstan’s Rustam Khudiyev came in second with a time of 24.12. Macau’s Ming Cheung Victor Wong came in third with a time of 24.14. The World Record is in the name of Kaio Almeida of Brazil with a time of 22.60. 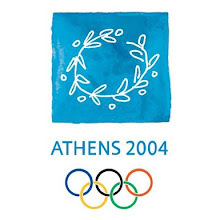 200m Freestyle (Women) – Thailand’s Natthanan Junkrajang won the gold with a time of 2:01.31. Korea’s Jae Young Lee won the silver with a time of 2:01.61. Hong Kong’s Jennifer Ka Hang Town won the bronze with a time of 2:05.50. Richa Mishra swam a time of 2:10.87 in the heats. The meet record is in the name of Chin Kuei Yang of Chinese Taipei with at time of 2:00.44 set in 2005. The World Record is in the name of Lisbeth Lenton of Australia with a time of 1:53.30 set in 2005. 200m Freestyle (Men) – China’s Runliang Liu touched first with a time of 1:49.88. Kazakhstan’s Oleg Rabota touched second with a time of 1:50.21. Korea’s Junho Hwang touched third with a time of 1:50.72. Rehan finished 10th in this event with a time of 1:54.89 in the heats. The meet record is in the name of Vitaliy Khan of Kazakhstan with a time of 1:49.57 set in 2005. The World Record is in the name of Ian Thorpe of Australia with a time of 1:41.10 set in 2000. 100m Backstroke (Women) – Hong Kong’s Hiu Wai Sherry Tsai and Hoi Shun Stephanie Au won the gold and silver with a time of 1:00.18 and 1:01.39 respectively. China’s Xiujun Chen won the bronze with a time of 1:01.90. All the three bettered the previous record. Shikha Tandon finished 7th with a time of 1:06.54. The World Record is in the name of Natalie Coughlin of USA with a time of 56.51 set in 2007. 100m Backstroke (Men) – Kazakhstan’s Stanislav Ossinskiy came first with a time of 55.30. China’s Yi Lin came second with a time of 56.00. Hong Kong’s Geoffrey Robin Cheah came third with a time of 56.10. Rehan Poncha came in 4th with a time of 56.45. The meet record is in the name of Stanislav Ossinskiy of Kazakhstan with a time of 54.81 set in 2005. The World Record is in the name of Ryan Lochte of USA with a time of 49.99 set in 2006. Look out for Shikha Tandon – 100m Individual Medley and 100m Freestyle, Richa Mishra – 100m Individual Medley and Rehan Poncha – 100m Individual Medley. 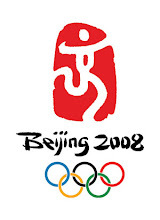 2010 Asian Games -Guangzhou,Asian Games History,Latest News,Venus, Events ,and Photogallery only at www.asiangames2010.info.